We’re going to make a vintage jar. Or canister if you prefer. We can’t be bothered by technicalities, now can we! 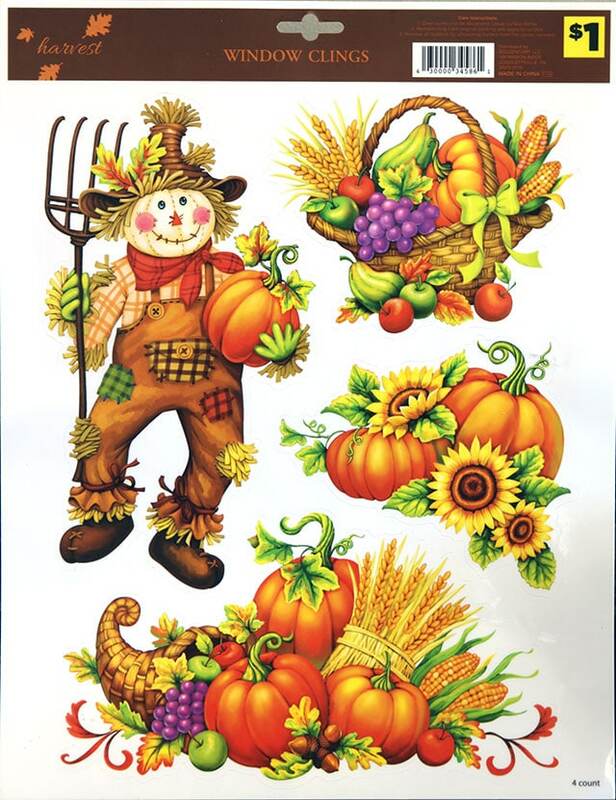 You need to run, not walk, to Dollar General and grab one of their fall window clings. They’re the things that normal people would put on their windows to glam them up for fall. But we’re not normal here. And when I say “grab” I mean walk it up to the cash register and pay for it. Not “grab” as in grab it and run out the door. Just so we’re clear here. Don’t they look vintage-ish though. As soon as I saw them, I knew what I was going to do with them. 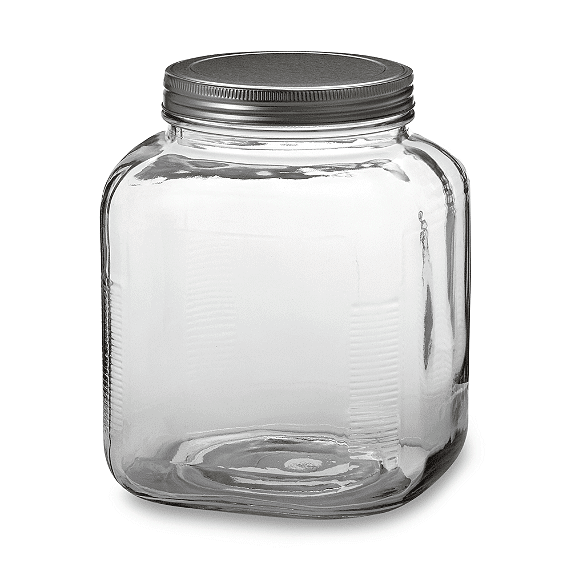 After Dollar General, stop by Walmart or Hobby Lobby and get yourself a cracker jar (square glass jar with silver lid). I used the 1 gallon size. And apply one of the clings to the outside of it. You can spray paint the silver lid a fun color if you wish. 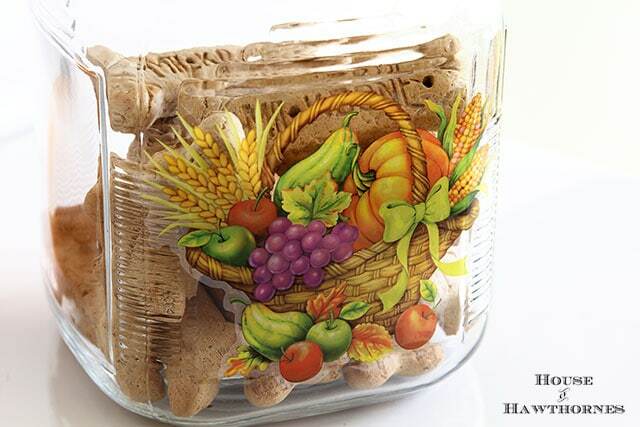 You have now magically gone back in time and made a vintage jar/canister. And better yet, it’s not permanent, you just pull the sucker off when fall is over! I’ll keep you posted if I run across any cute ones for Christmas. 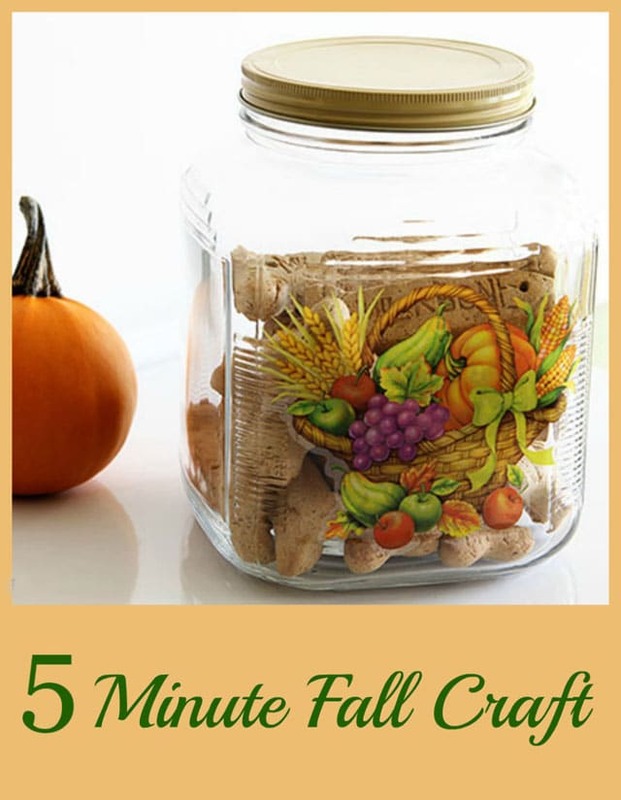 If that’s not a quick fall craft, I don’t know what is! You know what’s super cool about this? 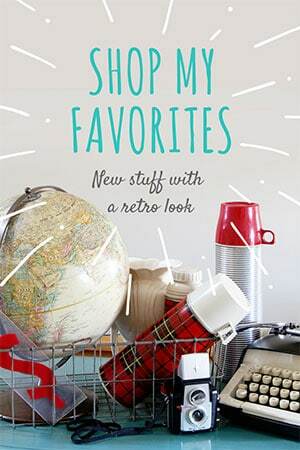 I got the inspiration for this craft from one of my readers (Hi, Pamela!!! 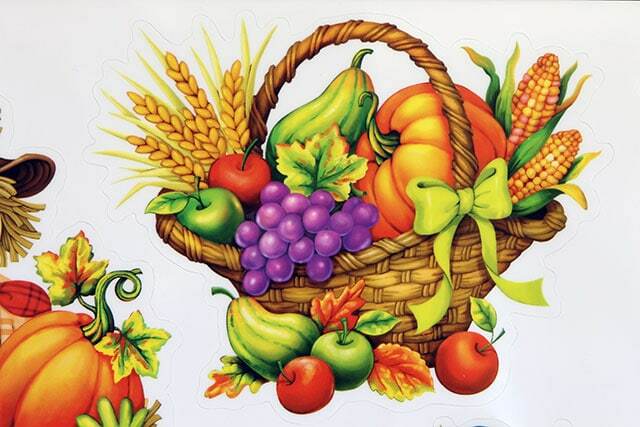 ), when she showed me some cool window clings she had decorated her door with. Loving this idea and wouldn’t it be fun to find some nifty vintage-inspired Christmas clings to do this same craft at Christmas. I’m definitely keeping my eyes open. Now that’s cute!!! And very clever! Pam, this is brilliant! I am going to see if I can find some of these clings. 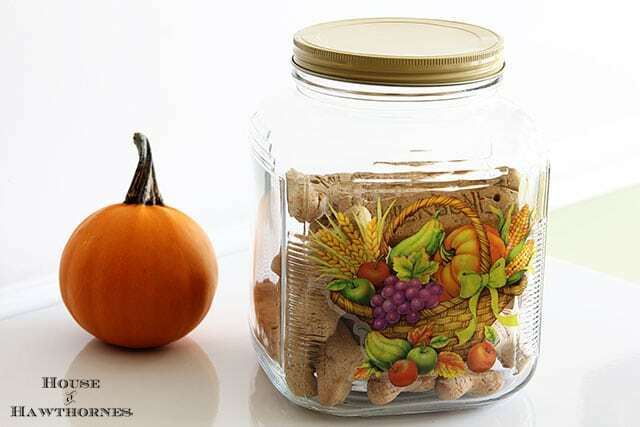 I have the jars and I love how you can change it for the seasons, etc. Thanks for sharing this super idea. CUTE!!! 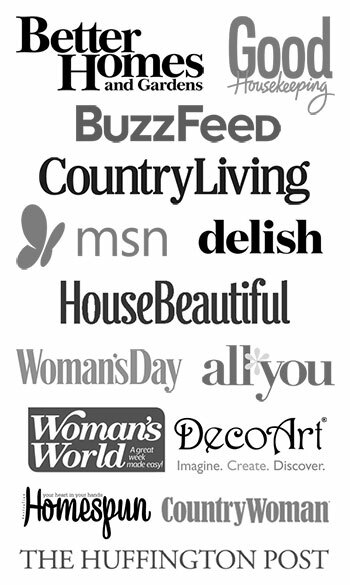 Yep, I’ve got a ton of these jars & will have to grab me some purdy window clings to use on ’em! Definitely need some super cute Christmas ones! How clever is that. And easy to do. LOVE it. So cute! Another good use for the clings besides the window.